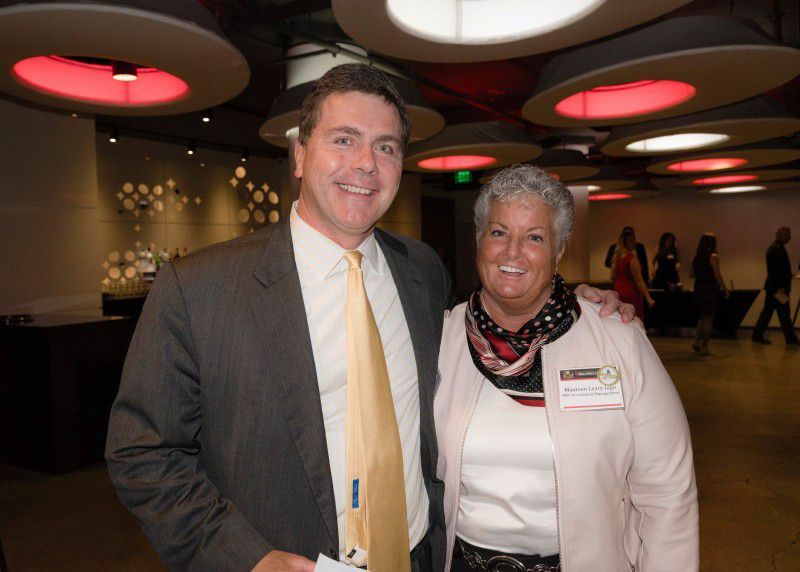 Expect Miracles Foundation – Financial Services Against Cancer hosted its 12th Annual Wine & Spirits Event on Thursday, November 5, 2015. Sold out for the second year in a row, this event hosted nearly 400 financial executives at Space 57 in the Revere Hotel to raise critical funds for cancer research and patient care programs. This night celebrated our firm belief that YOU can change the odds for cancer patients and their families! Space 57 was beautifully transformed by VDA Productions to incorporate the theme with giant playing cards and poker chips. VIP attendees began the evening with a food and wine-pairing journey featuring three unique stations expertly curated by Pour Favor Wine Events and Season to Taste Catering. Upon conclusion of the VIP reception, all guests sampled libations from ten tasting bars offering an array of wine, beer, cider, and spirits, as well as complementary gourmet cuisine. With generous support from Caesars Entertainment, this year’s Opportunity Drawing featured two exclusive getaways to Las Vegas and Atlantic City. The evening’s speaking program began with heartfelt words from Founder and Chairman, Frank Strauss, who thanked attendees, volunteers, sponsors and partners. The audience cheered as Frank announced that the Foundation hit a 3-year high in its support of cancer research and that we are once again at the top of the Jimmy Fund Golf leaderboard! He went on to acknowledge the six hard working and dedicated individuals, Mike Kerrigan (Beacon Consulting Group), Stephen Kraunelis (State Street), Rich Lenihan (Bank of America, retired), Lisa Onorato (JP Morgan, retired), Nancy Rowe (Jimmy Fund), and Bruce Speca (John Hancock, retired), retiring from the Board of Directors this year. Frank also recognized all members of the Miracle Maker Leadership Council (MMLC) for their continued leadership and support of the Foundation. The MMLC currently has 77 members pledging over $160,000 annually. To learn more about how you can become a Miracle Maker, click here. This year’s event honoree, Maureen Leary-Jago, Senior Global Advisor at MFS Investment Management and member of the MMLC, was recognized with the Expect Miracles Award for her commitment to go above and beyond to donate or raise significant funds for Expect Miracles Foundation and the fight against cancer. Maureen shared her story of watching close family and friends battle this deadly disease, and wanting to do more to help in their fight. She challenged her industry peers to do more as individuals, companies and an industry. Since 1995, Maureen’s actions have raised over $1 million for the fight against cancer, proving one person can change the odds. Thank you to all who were able to join us! We hope to see you at our next event, Expect Miracles in Manhattan on January 26, 2016 in New York City.